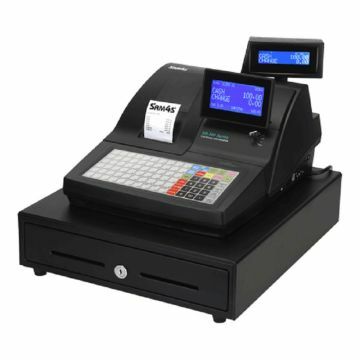 Flat membrane Keyboard 90 Keys, 1 Station thermal, 2 Line LCD Display, 4 bill/8 coin Cash Drawer with media slots, 2 x RS-232, 1 x USB, Ethernet port for download and upload files, SD Socket, no take up spool, Black. NR-500 series is a powerful solution suited for a wide range of retail and hospitality operations. This model is convenient to use as it provides the operator a high-visible display and other advance features.